Quite a while ago, I bought some device with a laser pointer. I did lost it over time and eventually ran into it just a couple days ago. In the meantime, I bought an Arduino and started experiencing with it, especially with photo-sensitive resistors (photoresistors). 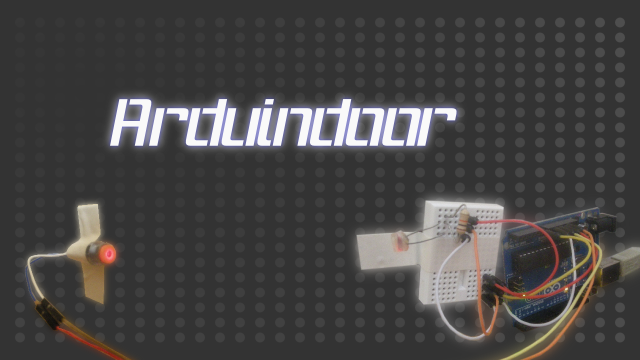 So I wondered what kind of fun could come out of a laser + a photoresistor + an Arduino. Actually, it didn't take long to figure out what to do. Remember all the Mission: Impossible-like movies and shows, where people are to move into laser-secured rooms, without interrupting any of the laser beams? Well, that's pretty-much the idea I came up with: "securing" my room door with such things.